We have worked together as Hsu Studios for over four decades. Since 1975, we have lived and worked in Berkeley Springs, W.V. At that time we established two working studios, one for jewelry and one for clay. 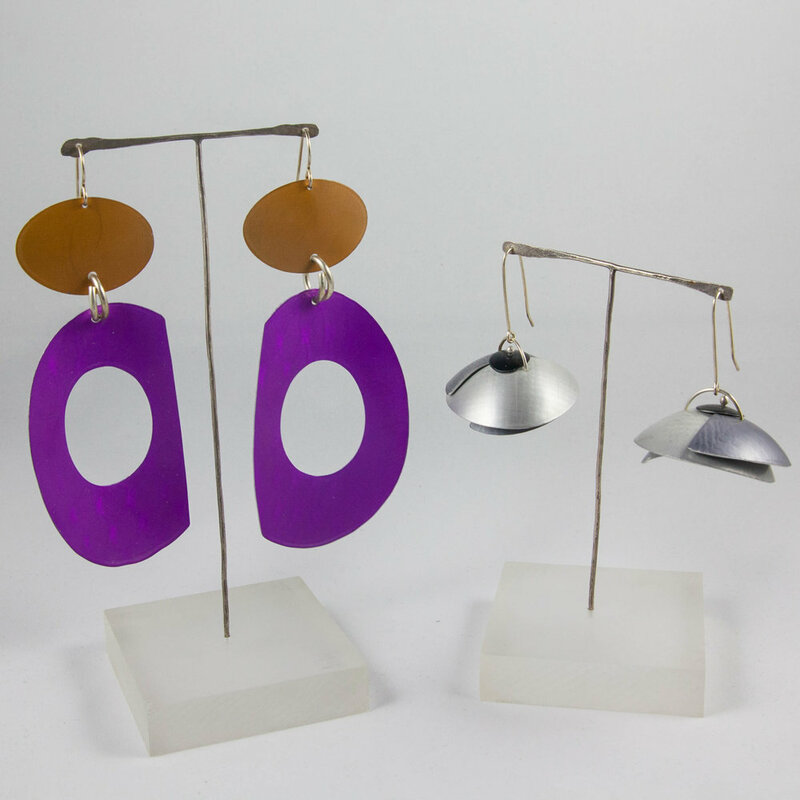 We merged our talents together as Hsu Studios in 1984 to create aerodynamic mobiles and eclectic, colorful jewelry in anodized aluminum. Aluminum is one of the most ubiquitous materials in the world, and is used in almost every industry. We enjoy the challenge of creating uncommon works of art for everyday use with a common material. We are inspired to design enduring, vibrant artworks that transcend traditional form and complement everyone's environment. Change is always important to us in our artistic endeavors; we continually explore new possibilities of design and technique, and have expanded from the small scale of jewelry to much more voluminous mobiles and sculpture. As West Virginia artists, we are pleased to be part of the state's vital arts community. We have participated in juried craft fairs across the country and numerous exhibitions. We spend most of our time in our studio with our production lines, which are available at craft galleries and museum stores across the country.